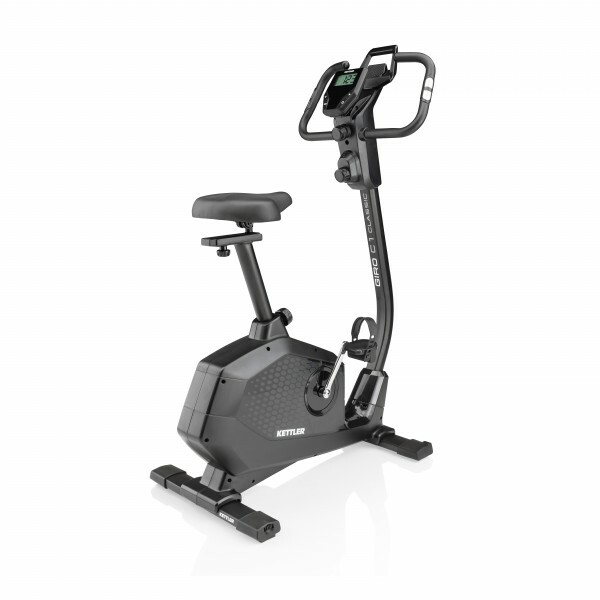 The Kettler Upright Bike Giro C1 Classic combines stability and comfort in a compact package. The Kettler Upright Bike Giro C1 Classic can take a max. user weight of up to 130kg – and is class above the rest in stability! The resistance can be manually adjusted by the magnetic brake, that's dependant on the RPM. You can choose between 8 different brake levels ("Gears"). The selected level can be directly seen on the the knob under the console. The LCD display of the Kettler Giro C1 Classic shows relevant vaules like time, speed, distance and heart rate during training. 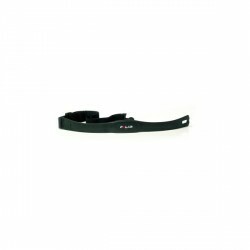 Your heart rate can be read through the hand pulse sensors or – for an especially precise reading – sent over a chest strap. After training the display shows the average values of your training. The viewing angle can be adjusted – so that you have no problems reading the display. The upright bike also only needs two AA batteries to operate. Due to this the upright bike can be placed anywhere in the room and be moved freely, being free of a power cable. 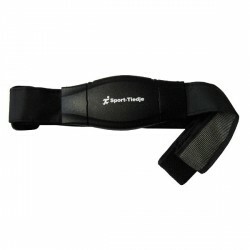 The tablet holder is included in the contents and makes it possible to use the tablet with your training. So that you have even more motivation for your training! The extra large comfortable saddel and extra upright U-shaped handlebars offer a high training comfort level. The height of the saddel can be adjusted as well as horizontally – so that everyone find their optimal training position. The handlebars can be tipped as well as adjusting the height. Kettler Floor Protection Mat XL In stock! Kettler Upright Bike Giro C1 Classic add to comparison list.